Day four of the pilgrimage proved to be the longest and most exciting day thus far. 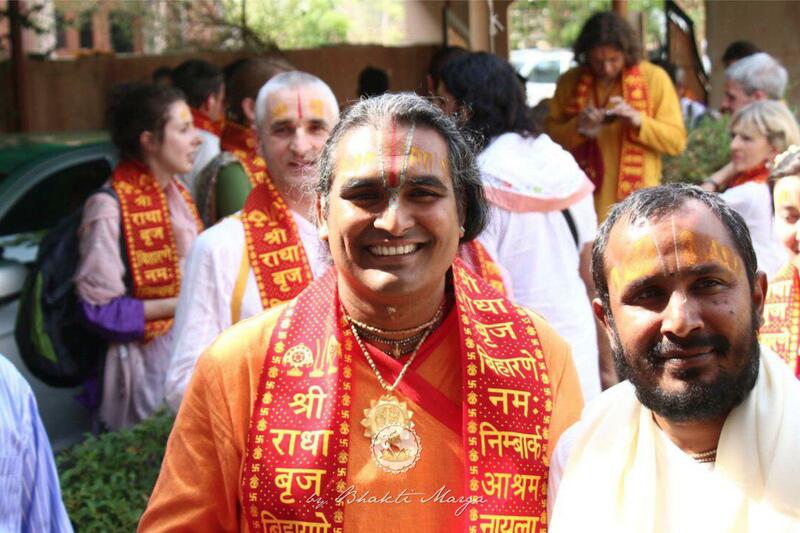 After doing abishekam to Sri Swami Vishwananda’s personal deity, Giridhari, we made our way back to Vrindavan. 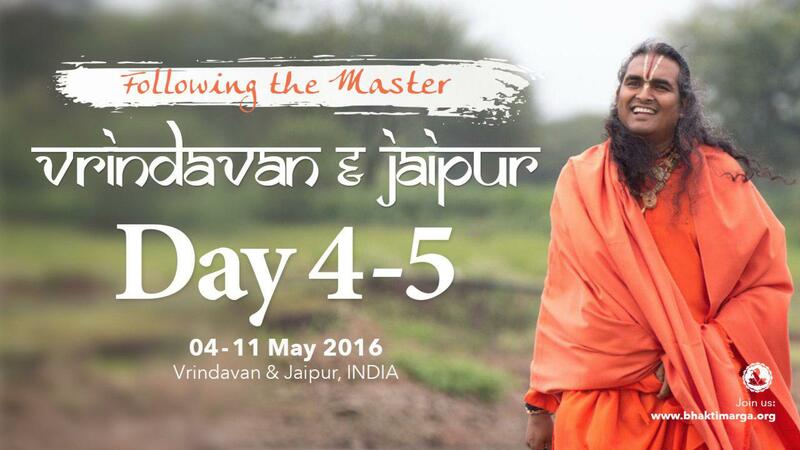 Even though the trip from Jaipur to Vrindavan is only "five hours long", it took us over 13 hours to get back. Along the way, we made plenty of stops to visit different saints and temples, and each stop was an amazing experience in and of itself. 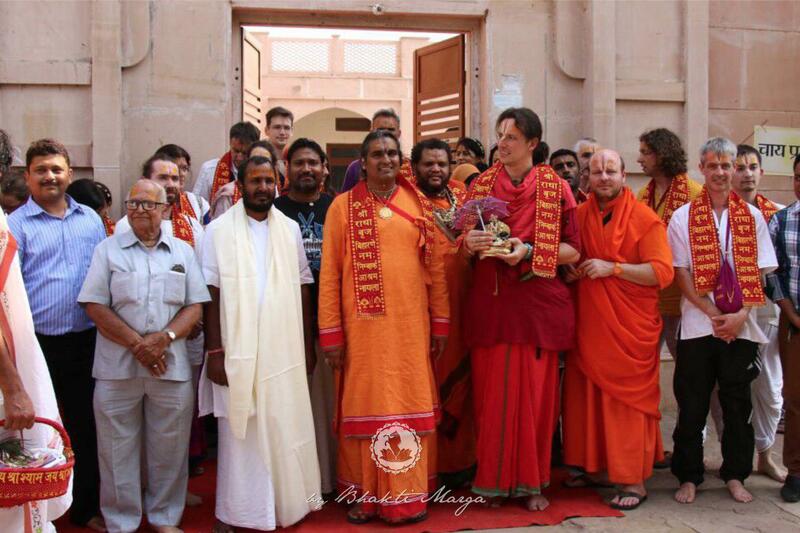 One of the stops included a very beautiful ashram directly outside of Jaipur. The venerated saint of the ashram would have darshan of Hanuman and Lord Ram on a regular basis. 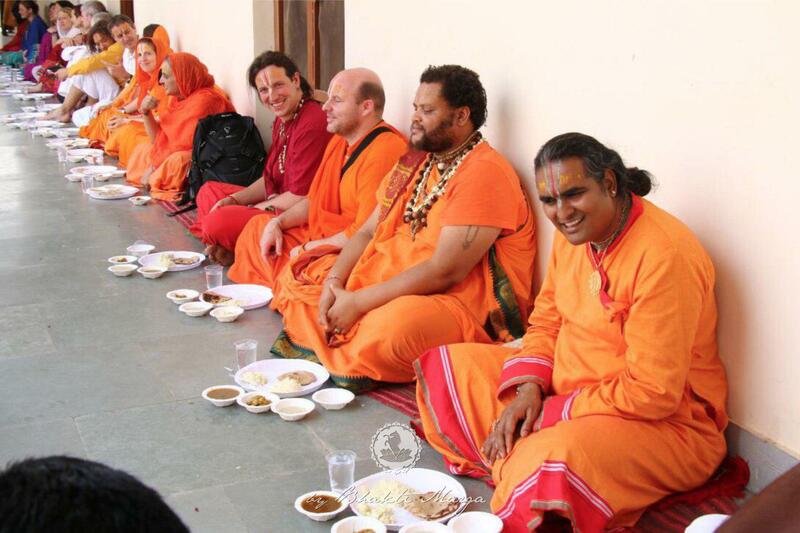 Even though the saint had passed away, the disciples continued to keep the ashram alive with puja and kirtan everyday. The main highlight of the day was the visit to the Madan Mohan temple in Karoli. Karoli is about 182 kilometers southeast of Jaipur and about 100 kilometers southwest of Vrindavan. 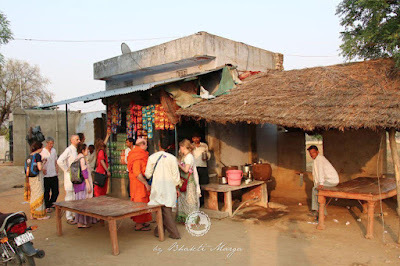 It is a small town and home of the amazing Madan Mohan Temple. Madan Mohan means “one who can even enchant Cupid.” In the temple, there are three altars. Madan Mohan stands on the centre altar, with Sri Radha on his left and Lalita Devi on his right. The deity of Madan Mohana, also known as Madana Gopala, was first discovered by Advaita Acharya, a disciple of Chaityana Mahaprabhu. It was installed at a place overlooking the river Yamuna by Srila Sanatana Goswami and it was the very first temple to be built in Vrindavan after the long years of abandonment. The original deity of Madan Mohan was taken to Karoli in Rajasthan for safety during the attack on Vrindavan by Aurangzeb. 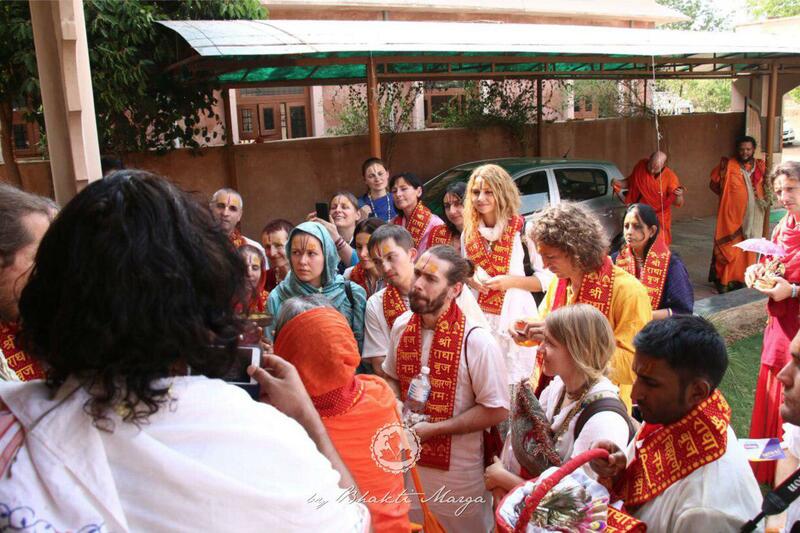 After visiting many saints and temples, we arrived in Vrindavan at 3:00 a.m. in the morning. Everyone was extremely tired from the long journey. The fifth day of the pilgrimage had a late start since most people got some well-needed rest after the long journey the day before. The majority of the morning was spent getting situated in the rooms and performing the abishekam to Giridhari (Swami’s personal deity). Later in the day, we traveled with Guruji to various temples around Vrindavan. The highlights being the Banke Bihari temple and the Radharaman temple. In previous blogs, these temples have been talked about quite a lot, but just to say briefly, that these are the temples that truly capture the experience of Vrindavan, as they are a must to visit. Not only that, but it is also interesting to note that the Banke Bihari temple is Guruji's favorite temple. All in all, the fifth day was very relaxed since we had gathered the necessary rest after the long journey the day before. But even though the fifth day was down time for the group, the locals were busy preparing for the upcoming Akshyay Tritiya, a very special holiday in Vrindavan.